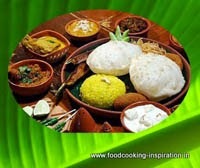 Food can withstand all of the seasonal impacts on human body and Bengali food habit follows that rule from the early Vedic ages. Regular Bengali food can keep your doctor away in all seasons and may be the living habit of a Bengali with all sweet, bitter and sour interferences in their life by their neighborhood, friends, relatives, and well wishers is the basic mantra of livelihood, staying close to each other and staying out of mental stress!! So you can say all natural stress buster is present in a Bengalis life. The bitter gourd lentil is a dish which will never be so bitter that you would like to skip the dish. Today, the utility of natural green bitter vegetables does not need any new explanations. In summer we always prefer to stay cool with bitter and sour dishes. The recipe variations are unlimited. Like this recipe we have hundreds of different tasty bitter dishes so we need not stick on a single vegetable like bitter gourd. Dry roast moong dal for 4 to 5 minutes, keep stirring constantly until slightly golden color. Wash and clean the roasted dal with warm water. Soak roasted dal in water for 5 minutes. Boil 1 cup water, add soaked dal in the boiled water and cook in simmer until slightly mushy. Remove from fire and keep aside. Wash and clean the bitter gourd, cut in to round shape and wash again. Season the bitter gourd with salt and turmeric. Put a deep pan on fire. Add oil and wait until smoking point. Add mustard seeds, bay leaf, broken chili and round cut bitter gourd one by one. Fry a little. Add ginger paste. Add boiled dal in the pan. Please keep safe distance from the pan because it would splutter. Add one cup boiled water, salt to taste, and one pinch sugar to balance the taste. Keep boiling for 4 to 5 minutes or until bitter gourd cooks properly. Put off the fire. Add one green chili and cover the pan to give a standing time for 5 minutes. Bengali tetor dal is ready to be served. Bengalees prefer both bitter and sour on summer days. Actually yes, I feel cool, light and satisfied after eating my meal. One more thing to be noted, these dishes are exclusively for daytime meal matches best with the rice and not suitable for dinner. Why! 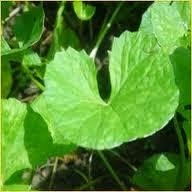 I never tried to explore the causes, generation by generation Bengali takes bitter and sour in the daytime meal to follow Ayurveda. Wash and clean the dal with warm water. Soak in the water for 5 minutes. Wash and clean unripe mango, remove the peel, cut in diagonal pieces, you can keep the seed, wash again. Put a deep pan on fire. Add oil and wait until smoking point. Add mustard seeds, curry leaves, broken chili and raw mango pieces. Fry a little. Add one cup boiled water to the dal, add salt to taste, and add two teaspoon sugar to balance the sourness. Keep boiling for 4 to 5 minutes. Put off the fire. Add one green chili and cover the pan to give a standing time for 5 minutes. Bengali tok dal is ready to be served. Best serve this cold lentil soup with hot rice.